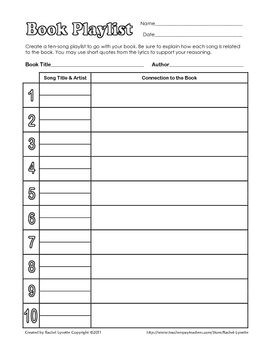 Book Playlist Worksheet - Fun Activity to Connect Music w/ Literature! Your students will love this ready-to-use activity that allows them to connect popular music to literature. 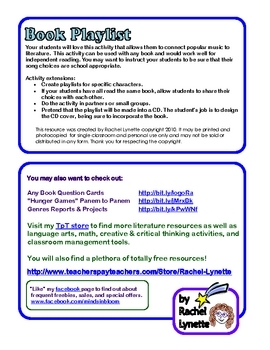 This activity can be used with any book and would work well for independent reading. Can be completed individually or in small groups.